However, the .html file above now works fine for me with my own test .geojson. I just drew a simple polygon in QGIS and saved it as StratfordBoundary.geojson (EPSG:4326) in the same folder as the .html file. As PVar wrote, also make sure that geoJSON file named StratfordBoundary actually exists on home directory of your project on server. 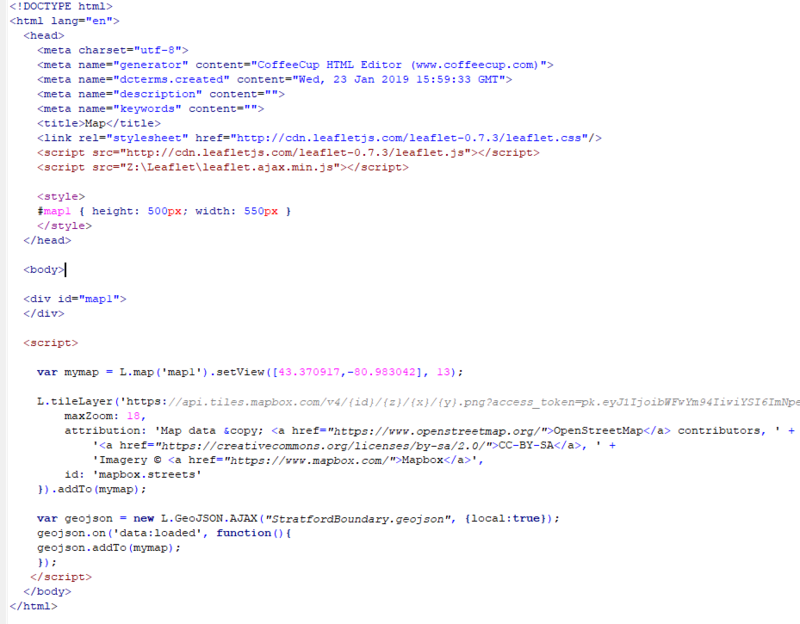 Here I just define the layer, than using JQuery's getJSON, I load the GeoJSON into the layer, then add it to the map. Example link included. var url = 'states.json';  // my GeoJSON data source. Adding GeoJSON layer on leaflet?